Today’s post finds me at a time where I am waiting to hear back on some important information. So I thought I might share some of my diversions which are helping me deal with the wait. Since you are most likely a writerly type, this will pertain to you, and you will most likely be able to relate. But many of us wear multiple hats, and some of this might ring true to other areas of your lives as well. I know it does for me. As many of you are aware, I recently started a new manuscript. I know, I know. I broke my policy of finishing my fall NaNoWriMo project by the end of the summer (see my Summer Bucket List post for proof). But this new manuscript couldn’t wait. I swear. So in the back of my head, I feel a little bit of guilt about shelving my 2015 NaNo, but it’s okay. No Biggie. Except unlike this picture, my sticky notes have things written on them; things that occasionally help me keep ideas organized, but not always. There is nothing more gratifying to me as a writer, than connecting with other writerly types. This past couple of years, I have spent time with authors, poets, screenwriters, and industry professionals all right here on this blog. Waiting to hear back as a writer can be tough. When my mind starts to think the worst, I try to take the bull by the horns and learn something new or share something useful. Blogs are great for that. Through them, you can pose questions, share helpful information, interview other writers, etc. All of these things aren’t going to make the time go any faster, but they might make the time more pleasurable, and divert your attention somewhat. Diversion #3: Read something new. And review it. This isn’t rocket science. We like to read. It’s what we do. It’s what we hope to give our own readers. By taking the time to read the works of others, we help to pay it forward. By reviewing the books, perhaps on your blog, you can get a conversation started, thereby helping to pass the time as well. Diversion #4: Plan a trip. 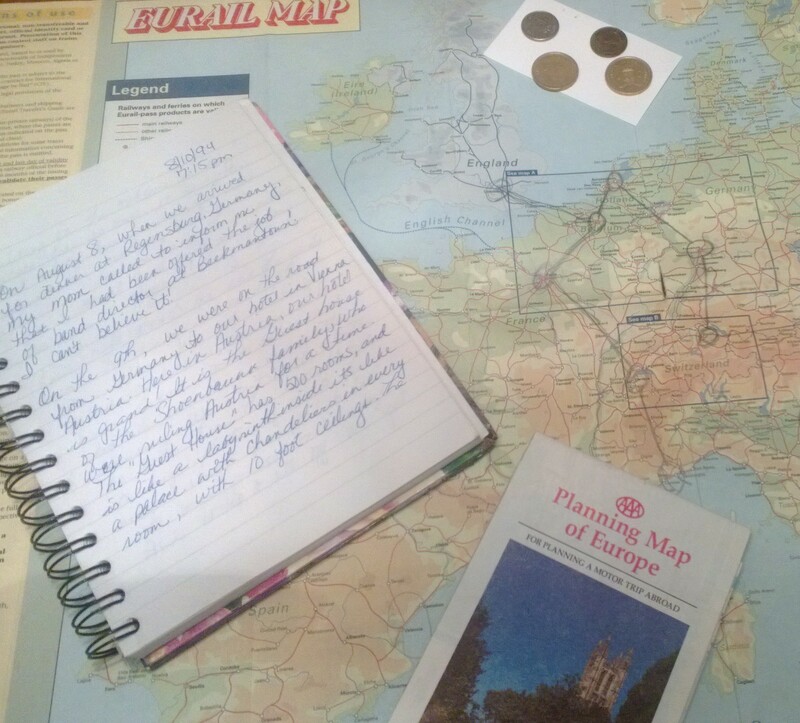 You don’t actually have to take the trip, mind you, but I sometimes got to a travel site and make plans, down to what excursions I’ll take once there. On my “To-Visit” list is The Pacific Northwest, South Dakota, Iceland, Scandinavia, and Austria. There are plenty of other places I’d love to see, but these are just what I have been thinking about as new stories and world’s swirl around in my head. Hopefully this helps. And as an added bonus, writing this post tonight has helped divert my attention from the waiting game for about an hour or so! To that end, I’m going to get myself a couple of Oreo’s and get back to Diversion #1: my new manuscript. Happy writing and waiting, everyone! 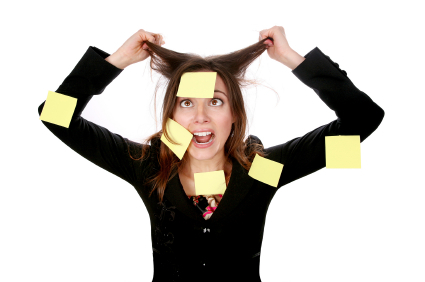 Writerly Advice: When My Book-Baby Needed A Time-Out! One of my Twitter friends asked me a question today, and it kind of got me thinking. She wanted to know if there was ever a point when you should just scrap a manuscript. Hmmm. Let me think about that for a moment. Who among us has never felt the frustration of conceptualizing a manuscript, plotting, planning, and writing it to the point that we are absolutely certain it will CHANGE THE WORLD, only to discover that it just doesn’t work? No doubt, many of us have. Case in point: My 2013 NaNoWriMo project. As a writer, I was in a phase where I wanted really complicated plot twists and character relationships, and on top of that, a few of the plotlines and characters would span the time/space continuum. I am befuddled just thinking about that beast. I got about a third of the way through writing it (from an outline, no less) and found that I couldn’t make it work out the way that I was sure it would when I plotted it months earlier. That manuscript was taking on a life of its own, and as its “parent”, I just couldn’t keep up with it! If there was ever a time for me to consider scrapping a manuscript, it was then. I have mentioned this in other posts on this blog, but writing, as are all of the arts, is a living thing to me. The process of writing is fluid and morphing, and the books we read become part of us, as we live and breathe, taking on a life of their own. Instead of scrapping that beast of a manuscript, I trunked it; I gave it, and me, a Time-Out for a while. That manuscript needed to think about was wrong with it. I needed time away from it as well, to perhaps come up with a plan to better usher that particular Book-Baby into the world with a little more finesse. I don’t know how long it’s Time-Out will last. It could be years. And who knows. Maybe it’s supposed to be more than one book, or maybe something in the universe was telling me that I am not ready to write that story…yet. It is definitely a “something”, because I still get chills of excitement when I think about it. I wouldn’t scrap a manuscript altogether. Like the unnamed Book-Baby in my example above, I would give it a Time-Out, long enough for the two of us to iron out our differences. How do you deal with unruly manuscripts? When they don’t work out as planned, how long before you set it aside? Have you ever scrapped a manuscript completely? Share your response in the comment section! Thanks for stopping by my Writer’s Block! Hello Writerly Friends! Thanks for stopping by. 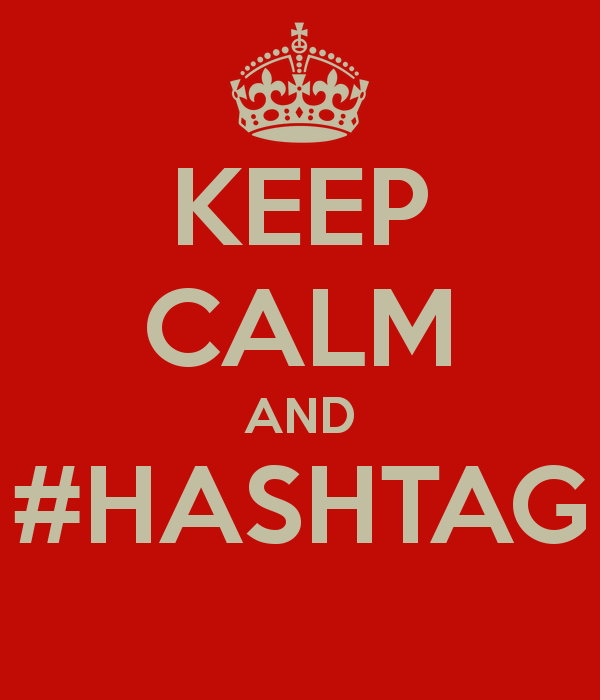 Today on my blog, we’ll be discussing … Hashtags! I make no claims to know all of the ins and outs of this phenomenon, but perhaps there is some information here that can help you on your writing journey. The #hashtag. We have seen them everywhere, from Twitter to Facebook, to street-side advertising and television commercials. I found a great blog post from Author Media listing a ton of writerly hashtags. The list they post is very thorough, and gives a brief description of what some of them are for. Certain hashtags are used on certain days of the week or times of the year. That post is definitely worth checking out. Another thing to realize is that hashtags are searchable. This can benefit the writer in several ways. I try to use a blend of common and more unique hashtags when putting my blog posts together because anytime someone searches one of the tags in Google or any other search engine, my post will come up in their search. This is helpful to writers because it’s a great way to get exposure. Authors can and should have a title hashtag for their books when they release. It can be a powerful tool. I am in no way an expert about tagging and social media, but I can see the potential for their use. Welcome to my Writer’s Block! We are talking about word count today. Whenever anyone asks me about books I have written or am working on, they inevitably ask me about how long it is. Truth is I know that they want to know how long it is, in pages. Yet, I answer them in word count. In the examples above, use the 5.5” x 8.5” for fiction, and the 6” x 9” for non-fiction. Word count is how writers determine what kind of baby we have: is it a short story, novella, epic novel? We can generally tell by the word count. There are several sources for a description of word count “requirements”, but it is also important to realize there is also some grey area there as well. I tend to lean toward the more flexible word count designations. Writer’s Digest has a very good post about it here, where they show optimal, acceptable, and unacceptable ranges for just about any fiction book and level. I like this article, because of that “grey area” I spoke about earlier. Nothing I do is ever black and white. I have said this other places on my blog, but the arts, to me, are living things. They evolve, grow and develop in differing ways. Does word count really matter? I think it does. If you pitch a book to an editor at a press or to a literary agent, it really should fall into the word count range for the genre that it is. The agents and editors know the market. They know what readers specific genres expect as far as word count. So, I think it does matter. What happens if your novel falls short of the desired word count? All is not lost. While I believe in word count ranges, if a story is well told and it’s only a novella length piece, maybe that’s what it was meant to be. And if your story explodes into the hundreds of thousands for word count? Perhaps you have a series on your hands! Is word count something you should focus on from the beginning of a project? Maybe, maybe not. For example, I believe in a free-flow writing process. I do like outlines (a LOT! ), but when actually doing the writing of a first draft, I get the ideas down, and fill in gaps later. I tend to be a very lean writer, generally speaking. I don’t think I could ever write a novel of epic length. It doesn’t suit my style. But if it is November 1, and I am embarking on another trip through NaNoWriMo, word count is everything to me! I want to win, so my goal is 50K or more words by the end of the month. My life has been dictated by the school calendar since birth, due to the fact that my mother was a teacher. School, college and teaching career followed, again, on the school calendar. I guess you could say I am used to it by now. June-September: Take part in summertime conferences, writing contests, and querying. I have gotten a lot better at organizing my time over the last couple of years, so I am pretty sure that I will finish editing my November 2015 manuscript by Labor Day. And the short Stories? Well, I will embrace those little story ideas that seem to come to mind suddenly, and write them as time allows. The last two items on my summer bucket list may or may not happen, due to things out of my control, but I plan on completing both of them. We shall see how it all goes! How about you? Do you have a writing bucket list? Writing plans for the summer? I’d love to hear about it in the comments below! Spring Cleaning is an annual ritual my family undertakes, literally, once a year. As much as I dislike the enormous chore of deep cleaning the house, it feels good to clear things out, take stock in what we have and what we might repurpose or pass on to someone else who may need it. This past week, as part of this Spring Cleaning process, I took a look at all of my blog posts. Every single one of them! I discovered some real gems in there once I dusted off the cobwebs and reminded myself what had inspired each post. I have gotten over those feelings of self-doubt over the years, thankfully! My first posts were basically throw-aways, as I tried to navigate the way WordPress worked for blogging. But then I found something of a focus, and I began to reach out to other authors after reading their books. New relationships were formed as I would interview each one. And I must say I adore doing interviews. My interview style has developed through the years into something that I take a lot of pride in. I have a lot of confidence in my questioning techniques now, which translates into some very interesting discussions! Another thing I discovered is that some of my posts now fit into blog series and mini-series. My Writerly Advice topics continue to be great to write about, as well as my NaNo Mini-Series interviews. I can’t wait for next year’s NaNo Mini-Series! …Which brings me to the biggest discovery during my Blog Spring Cleaning: Flashback Time Machine! Flashback Time Machine is a series I started, then forgot about. In the series, I write about some literature classics, and come up with questions I would have liked to ask the author if they were still alive today. I enjoyed writing those posts a great deal. Well, it’s time to resurrect the Flashback Time Machine! In the coming weeks, I will be working on the next installment of that series. I won’t divulge the book or author yet, although I already have the plan in place. For now, thank you to all of my blog readers and followers! It means the world to me that we can connect in this way. Spring Cleaning can be awesome! Not only did I take stock of the written content on this blog from its earliest posts, but I also took stock in the many views, comments and followers that grew out of it. If you have a topic for this blog that you would like me to cover, please leave a comment below! Several November’s ago, I embarked on a grand adventure. I had an idea for an amazing story, and when I learned what NaNoWriMo was all about, I had to jump in with both feet. Thirty days later, I had a complete (rough!) first draft of a novel. Between the thrill of having the idea for the novel and the exhileration of completing it, I knew I had tapped into a part of me that I would never be able to let go of. Since that time, I have learned a lot about myself and my writing. For one thing, the idea of writing a 50-80 K novel excites me with every glimmer of inspiration I get. I have learned a lot about time management (even though, let’s face it, it’s tough to balance everything sometimes). I am now a definite plotter when I can, or care to be, and I have mastered the art of productive pantsing. Yes, I love the process of creating a full length novel. But something affected me recently. I was asked by a writer friend to do a beta read of one of his short stories for a competition. I will freely admit that short stories have never been something that I would choose to read. But something in the way that a diminutive word can convey a full story, beginning-middle-and end, enlightened something in me. Around the same time as this enlightenment, a short story submission announcement showed up in my inbox. So, I did the only thing I could. I dusted off an old story idea which had been tucked away somewhere in my laptop, waiting for its day in the sun. I looked at the strange words I had written about it, and then freaked out a little. But with the help of a couple of my writer friends, who I consider “Short Story Enthusiasts”, I managed to transform a focus-less plot into a short story that I am proud of. Working on this short story has taught me several things. I don’t need a multitude of chapters to tell a good, complete story. The small word count allotted for a short story makes me use much better words. I have to be very picky! There is nothing to fear about pacing a short story plot. I don’t need to devote hundreds of words to backstory when I can use more effective word-choices to infer the same information. I have learned to be far less “tell-y”, because there simply isn’t time in a short story. I still love writing novels. I love how they are constructed, and I love how a novel paces out the plot over time, allowing me to live with the characters for a while. But having worked on this short story, I have better perspective as a writer. The techniques of using language in a concise, descriptive way can only help me as a novelist. Readers, I am curious. 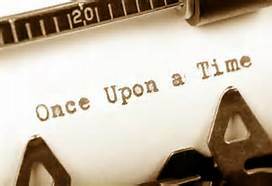 How many of you novelists have delved into the realm of the short story? How does writing short stories impact your novel writing?